Patent leather has come a long way in recent years. I've never been a fan of its super-shiny (and often cheap-seeming) look, and when patent came back into fashion a few seasons ago, I hoped the trend would pass quickly. It's still around, but thankfully patent leather has evolved into a softer, not so extreme finish. 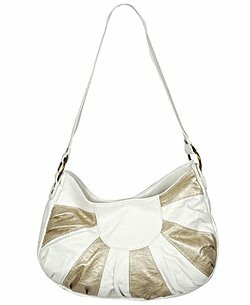 And while I'm sure you already have several pairs of patent shoes, I think now's the time to add a patent leather bag to your repertoire, especially in lighter, spring-friendly shades of white or beige. Bonus: Patent leather is waterproof and much easier to care for than regular leather, the better to withstand all those April (and May) showers. 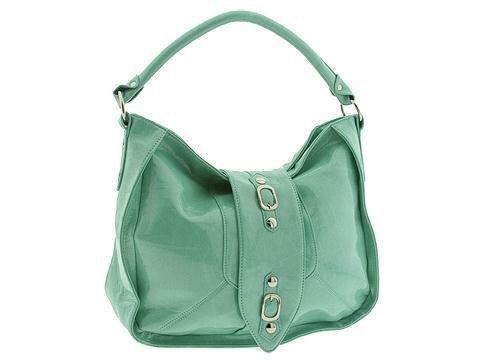 The ultra-modern shape of this Jane August tote bag is unlike anything I'd ever seen before--it's kind of a cross between a clutch and one of those insulated bags that keeps your bottle of wine cool--and, surprisingly, it goes over your shoulder. 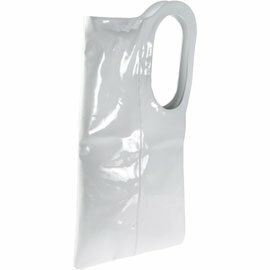 This is the kind of bag that people stop you on the street to ask where you got it. Have you ever picked up a Chloe bag? They weigh a ton, and that's even before you put all your stuff in it. 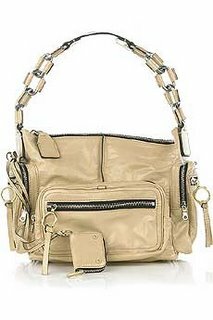 So just a look at this patent Betty bag, with chain strap, makes my shoulder hurt, but as they say, beauty is pain. Gustto makes amazingly soft, slouchy leather bags, so I'm quite impressed that they got that effect even out of patent. 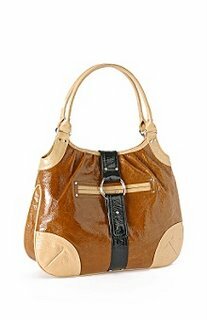 This Baca shoulder bag looks like something from a high-end vintage shop--in other words, it's perfectly broken in. 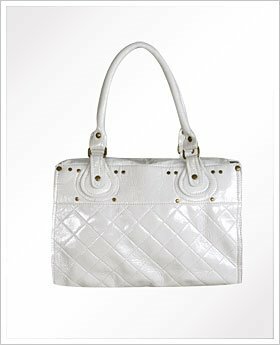 Seeing as how I carry a Big Bag, this dainty quilted Parker mini-tote from Goldenbleu is probably not going to do the trick for me, but I do love its classic shape and fancy-looking gold hardware. MK recently introduced me to Orla Kiely handbags, and I must say, I am a convert. Another vintage-inspired look, the creme caramel tote has a nice neutral palette and a work-friendly structured shape (and size). While Marc by Marc Jacobs clothes have always been supercute, the bags have been pretty hit or miss. Until that last few seasons, that is. 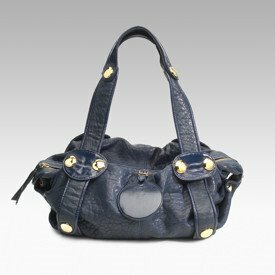 I love the vintagey Marc by Marc Jacobs King Pin Strike Bag so much, I promise never to knock the Marc accessories ever again. 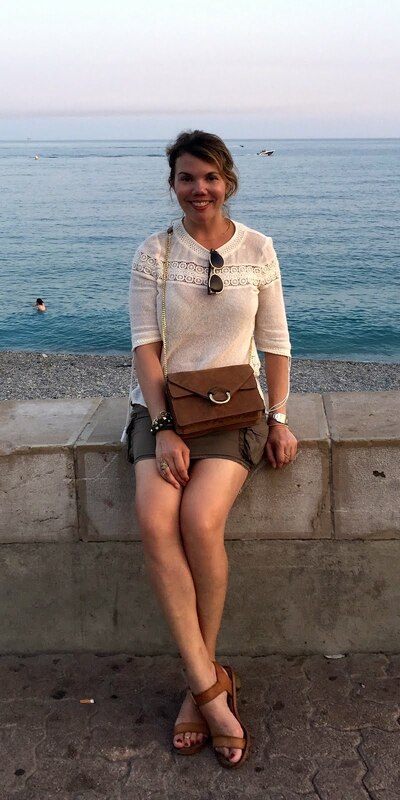 Melie Bianco knocks off a lot of popular bags, and while I can't quite place this patent shoulder bag, I feel like it has a Balenciaga vibe, which is never a bad thing. 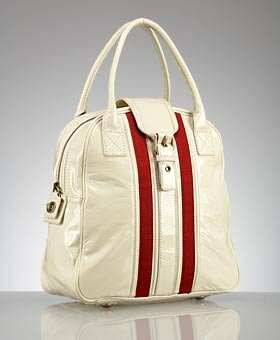 I'm not 100% sure if this "vintage" bag is faux patent or just faux leather, but it has that retro crinkled look that I love so much. And you can't really beat the price--you'll have change from a $20 bill. If you're still not a true believer in patent and want a bag that's barely going to make it to fall, there's always Wet Seal, which has gotten cuter in recent years. Case in point: this crinkle quilted ring satchel, a nice knockoff of the Goldenbleu style above.